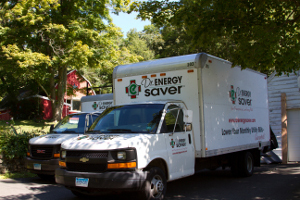 Dr. Energy Saver is the largest energy services contractor network across the country. We are dedicated to helping improve home energy efficiency, health and comfort for each and every one of our clients. What makes us different? 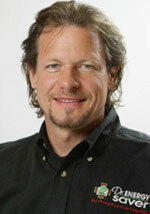 Each Dr. Energy Saver dealer is managed by people who are passionate about energy efficiency and green remodeling. They practice a unique whole-house approach to assess each home as an individual system - making for the perfect and custom solution. How do we do it? All of our Dr. Energy Saver dealers and technicians are thoroughly trained, certified and consistently updated at the National Energy Conservation Center, in Seymour, CT. This building is a state-of-the-art technical and testing facility with about 40,000 sq. ft. of hands-on-educational displays and technology. The facility is the first of its kind and to date the largest in the U.S.
Larry Janesky started out as a 17-year-old self-employed carpenter. After building over 20 homes, he spent the next two decades building Basement Systems into an industry-leading company specializing in basement waterproofing, basement finishing, and crawl space repair. For more information about Larry's journey to Dr. Energy Saver, check out his personal website and follow his daily blog. Today Basement Systems has approximately 400 dealers in 3 countries. Larry's interest in building efficiency has lead him to write 3 books - Dry Basement Science, Crawl Space Science, and Basement Finishing Science, and develop an exclusive line of products protected with more than 30 patents. You may see one of our trucks on the road or in your neighborhood! Larry has always been interested in efficient building and energy conservation. There are so many people who want to save energy but don't know what to do. Larry knew that he had to form a company to make energy saving strategies clear and easily available to every homeowner. Dr. Energy Saver was born. Today, Dr. Energy Saver is a network of over 50 energy saving dealers across the country who specialize in conducting energy and comfort assessments quickly and efficiently. But Dr. Energy Saver doesn't stop with the assessment; they also do the work, enabling homeowners to get maximum energy and cost-saving results with minimum hassle. Thanks to comprehensive training and in-depth support, Larry's vision for Dr. Energy Saver is a sure bet: a company devoted to correcting energy-hogging homes and helping homeowners enjoy more comfort while spending much less on energy. All Dr. Energy Saver dealers are fully trained at the corporate headquarters in Seymour, Connecticut. Training sessions occur all year round and consist of a thorough presentation, instruction and review of the Dr. Energy Saver service. Depending on what Dr. Energy Saver is closest to your home, the energy saving services available to you may vary.